On Saturday, September 7th the NHDP will be hosting it's 2019 State Convention! The Party anticipates that all Democratic presidential candidates will attend, as well as other national leaders, and candidates up and down the Granite State ticket at our biggest event of the year! Every four years NH Democrats host the presidential candidates at their state convention, a tradition starting back in 1983. The 2019 event is on track to be the largest event thus far. Additional details will be released in the coming months, including ticketing information for members of the public and instructions for requesting media credentials. Any registered Democrat in Strafford County can vote in the caucus and run for a position on the Executive Committee. Four officers: Chair, Vice Chair, Secretary, and Treasurer - will be elected, along with at-large positions on the committee. These positions all include membership to the New Hampshire Democratic State Committee. A person does not have to be present at the caucus to be nominated and elected to the committee. Any registered Democrat in Strafford County may be nominated and, upon a second, included on the committee ballot. 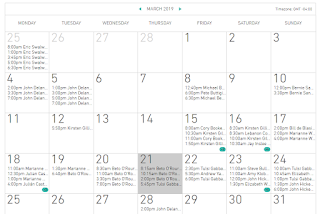 If you already favor one or more candidates I'd also advise signing up for their individual e-mail notifications of their events, as they may have the most up to date schedule and have last minute changes listed. 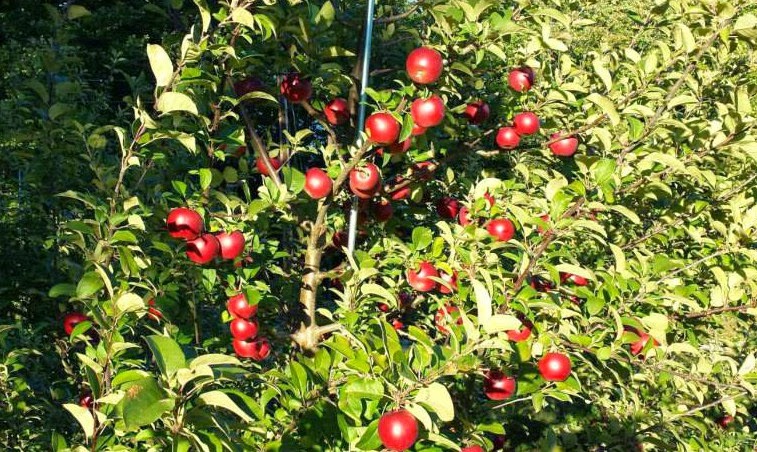 They would also be the most likely to have private RSVP events listed that you might want to attend. 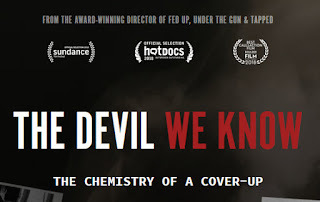 March 11th- Andru Volinsky-" #Education Funding & Property Taxes"
“The Devil We Know” (2018) is a documentary showing the impact of citizens in West Virginia when they take on a powerful corporation for dumping toxic chemicals in the water supply. 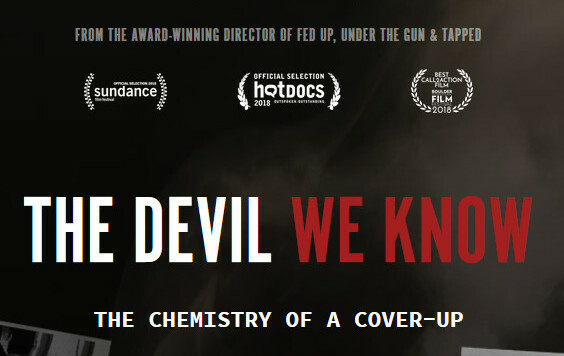 A discussion of the film will be led by Mindi Messmer, an environmental scientist from Rye, NH, where she is known for identifying a double cancer cluster in a 5-town area of the NH seacoast, drinking water protection and promoting cancer prevention. Wait until you hear how her discovery unfolded! The environment was listed as one of the top concerns at our January meeting. NH has the highest rates of breast cancer, bladder cancer and esophageal cancer in the nation. We will learn what is happening around the state and what we can do to advocate for stronger environmental protections. All welcome! Bring a friend! 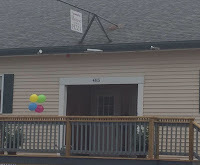 Attendees are invited to bring a pot luck offering. Coffee and tea will be provided. Great news! Local Dem candidates will be at a Farmington Democrats Meet & Greet Social on August 11th, from 4-6PM. 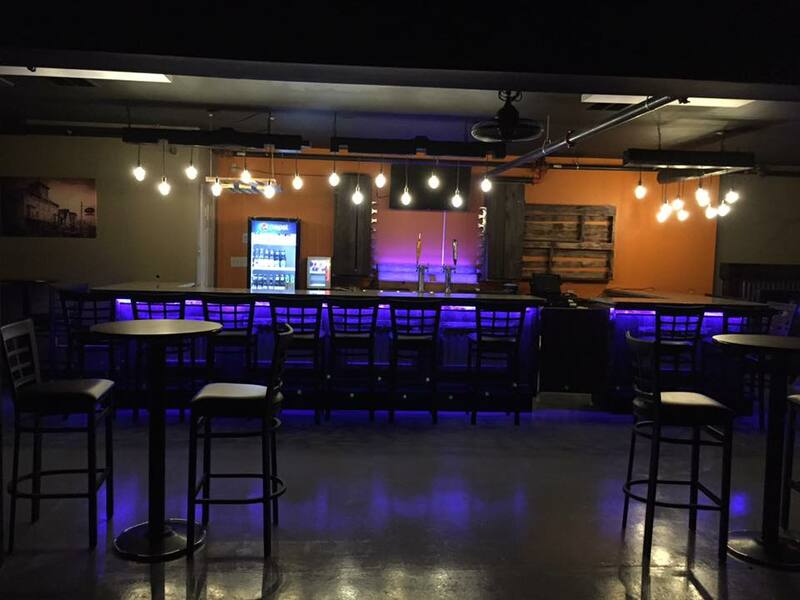 The event will be hosted at the Farmington House of Pizza lower level event room. You can get the address and directions here. 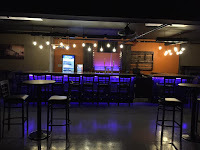 We will have a variety of appetizers and there will be a cash bar open for the event. This brings a great service to us as voters and as a community as it is one of the few chances to hear local candidates before voting day. 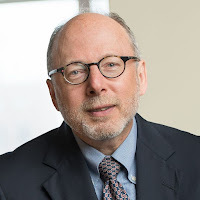 Manny Krasner will be available to speak as will Sylvia Arcouette. Both are running for the two New Hampshire State Representative seats for the Farmington community. This is Manny's first run for this position, but he is no stranger to the political landscape. 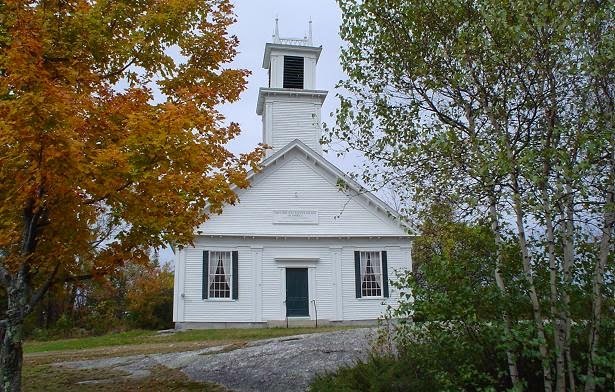 Manny has been an attorney in Farmington since 1976, and served as assistant Strafford County Attorney from 1978 - 1981, and also as Farmington Town Moderator. Manny believes in finding practical solutions to our real problems. Sylvia almost had the position last term, falling short by just 25 votes! 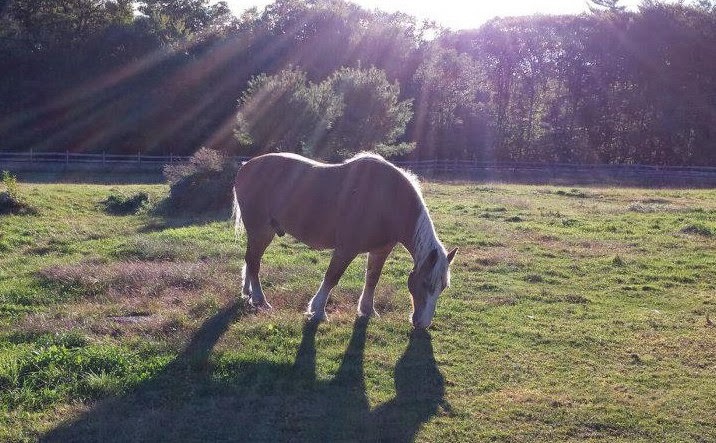 Sylvia currently serves on the Farmington Budget Committee and would like to bring more economic, educational, and recreational opportunities for the families of Farmington. Online Manny can be found at Krasner 4 State Representative. Sylvia can be found online at Sylvia Arcouette on Twitter. Both will have more information and avenues to contact them online soon. Anne Grassie, of Rochester, running for our New Hampshire Senate seat, will also be attending and speaking to our guests. Anne is a grandmother of 18 grandchildren and has over three decades’ experience in public service and childcare work. Anne has spent a lifetime working hard to better the lives of children and families in New Hampshire. Anne knows that strong families are the cornerstone of strong communities, and will fight for workforce development, child care access, and education in order to keep our community strong. Anne can be found online on Facebook @AnneGrassieforNH and on Twitter @AnneGrassie. 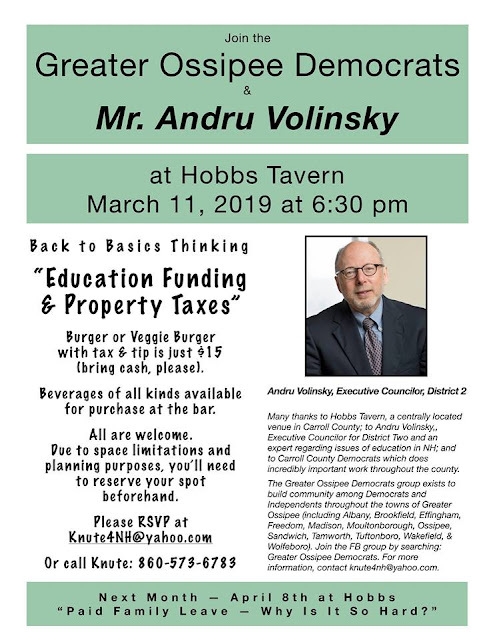 Also invited is candidate for Executive Council District 2, incumbent Andru Volinsky. Andru believes that the strengthening of our democracy resides in strong public schools, treating healthcare as a human right, protecting our environment and fighting climate change, and reducing the income inequality in our state by providing fair wages. Andru can be found online at www.volinskynh.com. All candidates will be available for questions and will make brief statements. The atmosphere will be relaxed and conducive to folks arriving and departing at any time between the 2 hours of the event. The Farmington Democrats will provide a variety of appetizers for those in attendance, and there will be a cash bar available. 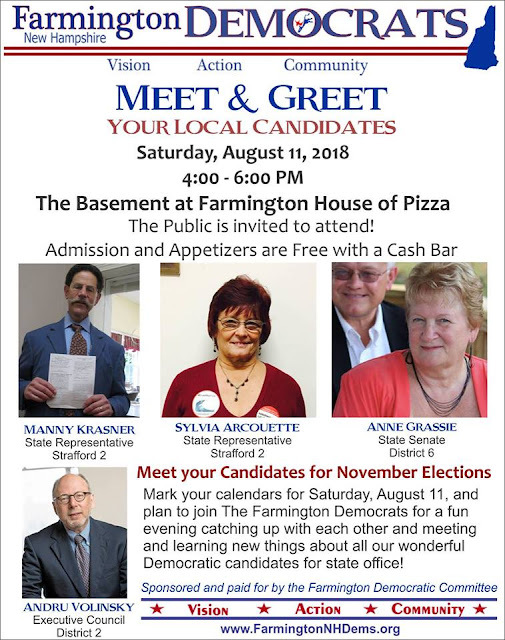 We hope that this event will allow Farmington voters to meet their candidates, find out what they are all about, and what they would like to accomplish if elected. It is one of the few chances residents have to hear from their local candidates before election day in November. 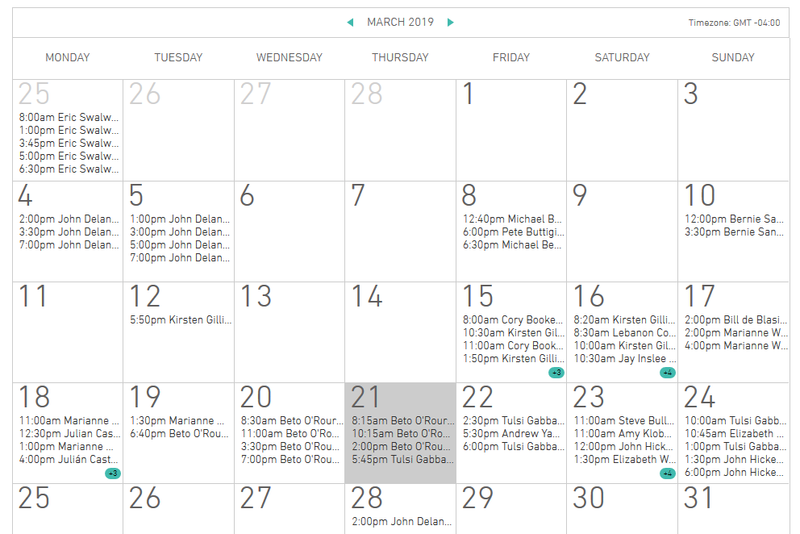 Mark your calendars for the date and plan to join us for a fun evening catching up with each other and learning new things about all our candidates! Sponsor the picnic for just $125 or whatever you want to donate. Sponsorships of $125.00 or more includes 2 tickets. You may sponsor for both picnic and fall events and pay $200, this will include 2 tickets for each event, (not 4 for either). 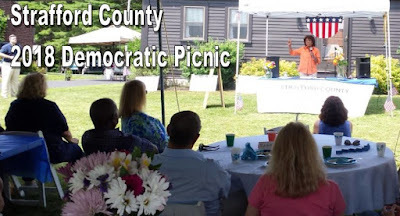 Sponsors will be posted on our appreciation board at the picnic, be posted on the Strafford County Democratic Committee website (with your approval). If you know of anyone that you think would be a sponsor please let us know! Or, If you are interested in sponsoring the event but have questions please contact us at straffordcountydemocrats@gmail.com. 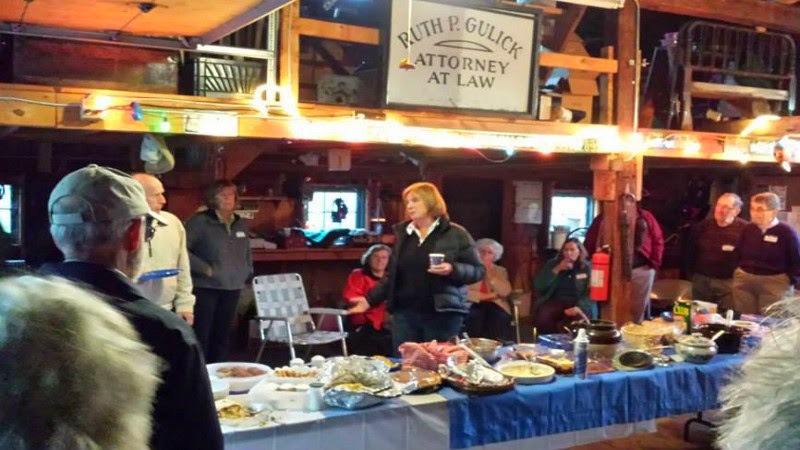 The money raised after expenses from our event will go to supporting local Democrats. This is going to be a great opportunity to catch up with old Democratic friends and meet new ones. Mingle and meet while enjoying delicious burgers and hot dogs, homemade salads and desserts. 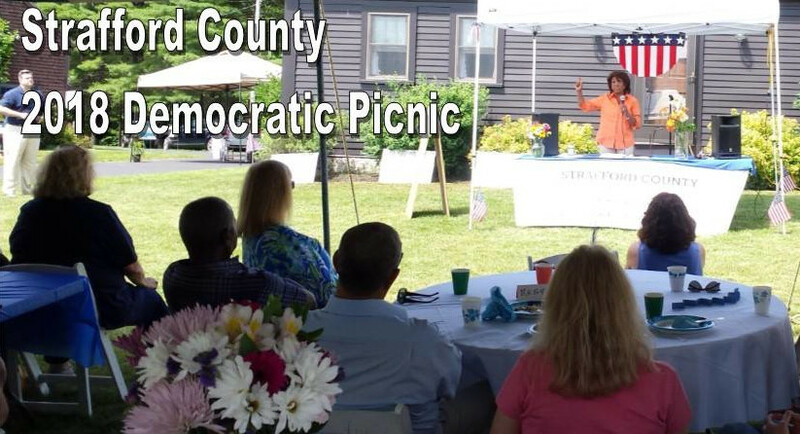 Catch up with what other county Democrats are doing and get to hear firsthand where your candidates stand on the issues. Vegetarian and gluten-free options available! 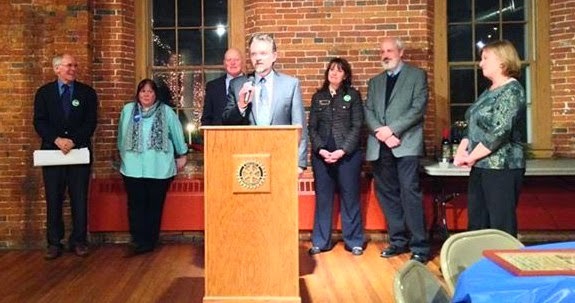 You can count on every cent of our net proceeds going to elect Strafford County Democratic Candidates! Every election is important but this election could be the pivotal event determining where our country goes and what values are represented. We'll also be having 50/50 raffles so make sure you bring cash and make sure you get your tickets early! The preferred payment method is by check. They can be mailed to; Strafford County Democratic Committee, PO Box 247, Dover NH 03821. The last date to mail checks would be Monday, August, 6th. Please include your name, address, email address or phone number, occupation, and employer address with your payment. You can also buy tickets using a credit card via ActBlue. Tickets via ActBlue will be available until Friday, August 10th. Tickets will be sold at the gate depending on availability.